You’ve got to start somewhere. 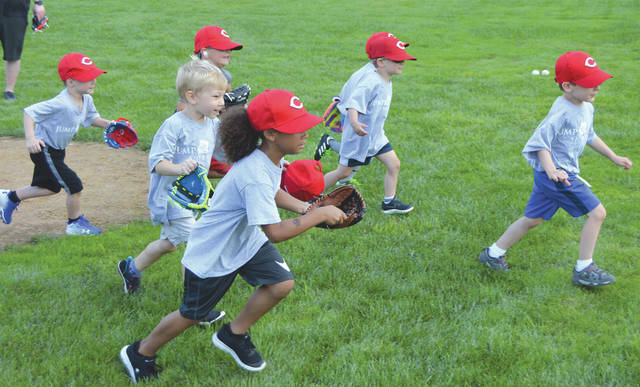 A group of youngsters in the JumpStart youth baseball program learn how to run to first base, at Rotary Park in Beavercreek. 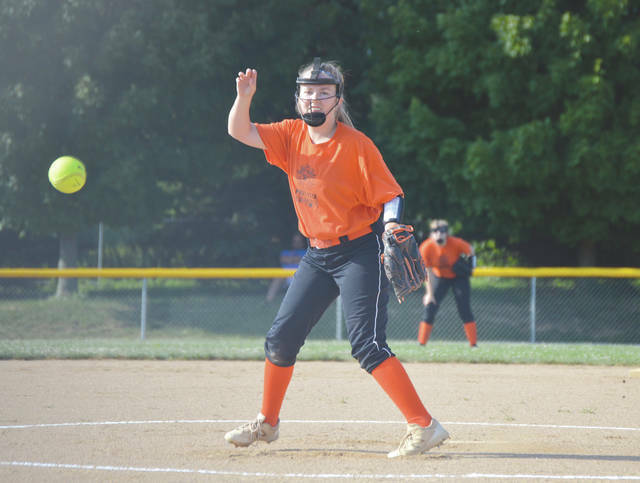 A member of Beavercreek’s U14 girls softball team fires a pitch across the plate, during a South Dayton Softball League contest at Coy Middle School in Beavercreek. 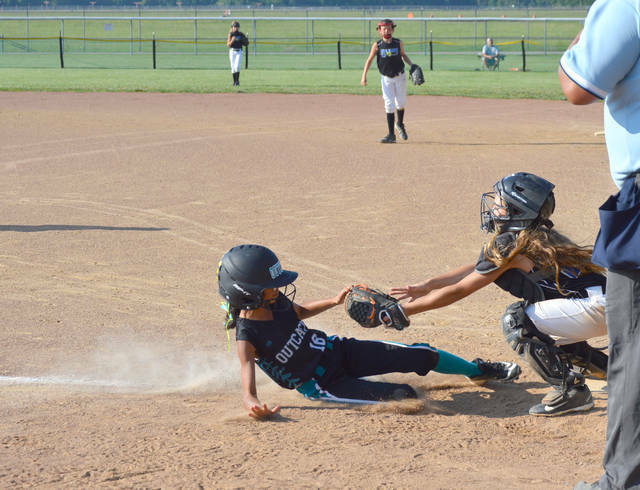 In a close play at the plate, a Bellbrook runner is tagged out during a softball game at Fairfield Park in Fairborn. 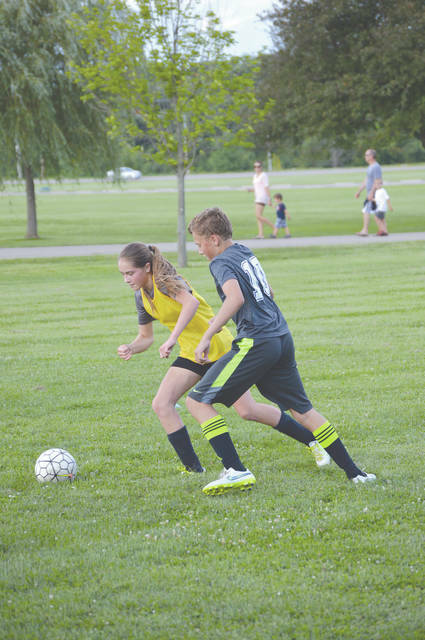 Soccer is typically a fall sport around here, but members of the Ohio Fusion soccer program took advantage of an open field session at Sackett-Wright Park in Bellbrook. 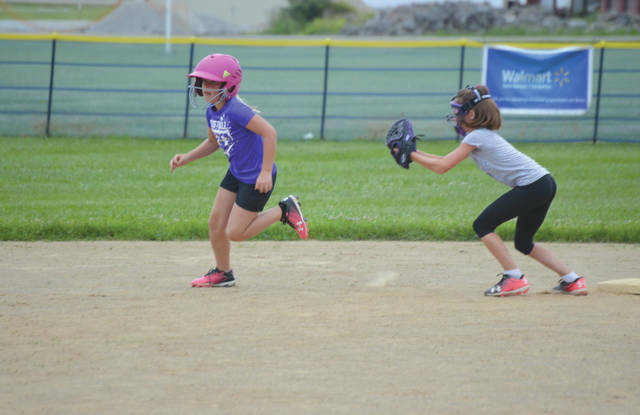 During a baserunning drill, a member of the Jamestown 8U Lime softball team races past an infielder before she can be tagged, at Seaman Park in Jamestown. 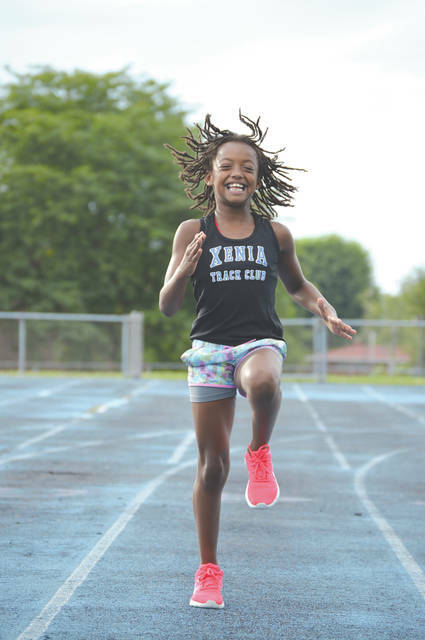 Ja’Lyanah Pope of the Xenia Track Club finished third in the 400-meter dash at the Junior Olympic Track and Field Regional Championships in Olivet, Mich. earlier this year. There’s not many places in the world where your softball game has an impressive backdrop as this. 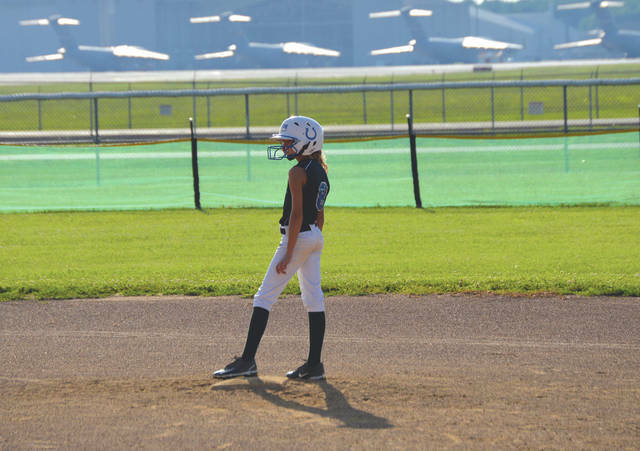 Here a Springfield softball player looks in from second base at a South Dayton League game in Fairborn.